Written by Nathanael Matthiesen and Tadj Schreck, former apprentices at Goldfinch Gardens in Celo, NC. Learn about different ways to gain farm experience and what to expect from your experience working on someone else’s farm. Neither of us initially set out to be farmers, but now we’ve completed a whole farm internship together. Both of us started out in graduate school, pursuing our separate interests. Tadj was studying ecology because she loved nature and wanted to make a difference in its conservation. She quickly realized, however, that this was not a fast path to making the kind of difference she wanted to make. Around the same time she started gardening in her local community garden. Within a year she was considering leaving her graduate program to become a farmer, but she was also intimidated by changing her course. Nathanael was in a sociology PhD program studying political economy and the rapidly growing sub-field of environmental sociology. He had long had an interest in increasing equality (both global and local) and was particularly struck by how things like food insecurity, the so-called “green revolution”, and the rise of globalization were intricately inter-related. As he spent more years in graduate school grappling with these issues, he concluded that a more hands-on and engaged approach could have a far larger impact than writing a dissertation that few people would ever read. Shortly after the two of us started dating, and we realized that we both had the same qualms about the life we were heading into as graduate students. We gave each other the courage and support we needed to leave our PhD programs and to lead a different life. Within a year of our relationship, we were selling our belongings on Craigslist, Tadj was writing her Master’s thesis, and we had begun our search for farm work. 1. Worldwide Opportunities on Organic Farms (WWOOF): For many of the people we’ve met, WWOOF is where they started their farming experience. WWOOF (Worldwide Opportunities on Organic Farms) is an international travel organization that allows people to volunteer on an organic farm in exchange for room and board. Typically, about 20 hours per week of farm work compensates for meals and either a bed or a place to camp. Farm stays can vary anywhere from a few days to a few months, but generally WWOOFers don’t spend a whole season at one particular farm. Wwoofing is a great way to start out for those with little farming experience. 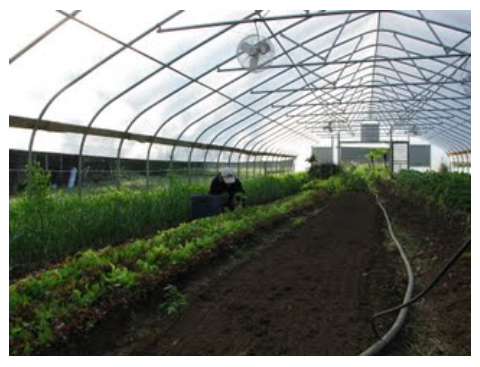 It allows aspiring farmers to experience different types of farms (i.e. vegetable, meat-production, dairy) before committing to a whole season on one particular farm. It’s also a great way to see if you really like farm work! Because WWOOF is an international travel organization, many WWOOFers volunteer on farms abroad, and spend a whole farming season traveling in this way. The main downsides to WWOOFing are its impermanence and lack of stipend. It’s really a great way to meld travel and farming, but if you’re looking for a longer- term experience or are in need of financial support, it might not be for you. Another major point to consider is the variance among WWOOF hosts. 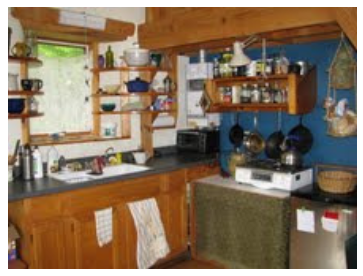 Many people who host WWOOFs do not farm commercially, but instead have a personal homestead. While volunteering on someone’s homestead is a great way to get experience growing food, you might miss out on commercial farming experiences such as harvest days and farmers’ markets. The last thing to consider is that WWOOFing farm stays are rarely long enough to learn more difficult farming skills such as using machinery or to participate in educational programs such as CRAFT. Internships/apprenticeships are an integral part of small scale farming. Many of the CRAFT member farmers interned on a farm before starting their own, and many farmers depend on interns for reliable labor. Interns generally work at least 30 hours a week in exchange for room, board, and a stipend. Internships can last anywhere from 3 months (geared towards student schedules) to a year. A good internship should cover most (if not all) of your basic living expenses and provide lots of educational experience. That being said, internships can vary significantly in their structure. Also, some are geared towards those new to farming while others are geared towards those with one or more years of experience. In this essay, we are just focusing on the more traditional first year internship structure described above. The main benefits to interning are receiving a stipend and the experience of being on a farm long-term –it is amazing to see how the farm changes over the course of a season! As the type of farm work varies throughout the season, long- term farm stays provide insight into nearly all aspects of running a farm and allow interns to learn many skills that could be missed on shorter stays, such as crop planning, seed starting, and cover cropping. Interns also generally have a higher level of responsibility in comparison to wwoofers and generally work more independently. Many farmers take the educational side of internships very seriously and participate in educational programs such as CRAFT, conferences, or even teach classes for their interns. If you are looking for farmers in Southern Appalachia that are dedicated to continuing apprentice education, consider checking out OGS’ database Apprentice Link for work opportunities. they are accustomed to. Also, although interns generally receive some sort of stipend, it may not be enough to cover all of your expenses, making it harder to save money for your eventual farm. Lastly, interning for multiple seasons is still a transient lifestyle, and might not be well suited to families or couples who are ready to settle in one place. Another great way to gain farming experience without leaving your hometown is to volunteer or work in exchange for vegetables. Many farms are happy to have a few extra hands to help weed and prepare beds for planting. Once you have some experience, it’s possible to find a job working part-time as a farm laborer and to gain more experience and responsibility. While volunteering and working on a farm are great for getting started (much like WWOOFing, but without the travel), the main thing they lack is an educational component. While some farmers are committed to training their volunteers, working fewer hours and having less overall contact with farmers will be a slow path to gaining experience. Gardening seems like an obvious step to becoming a farmer, but many people begin farm internships with very little hands-on experience (Nathanael included). This route to gaining farm experience is a great first step. Growing a garden to feed yourself and your family allows you to make mistakes and learn from them in a low risk setting. Gardening is a great complement to interning or WWOOFing but can also be a great experience on its own. It is a great option for those who can’t leave their present job to pursue a farming career or for those not able to pick up and leave for an internship. On the other hand, opting not to work on a commercial farm can have disadvantages in that it is harder to gain a sense of farming as a business operation. While we knew that we wanted to gain some experience we weren’t sure about doing a full-time apprenticeship, and it was difficult to find an apprenticeship that was a compromise between Tadj and Nathanael’s different levels of experience. We thought about WWOOFing but wanted to be somewhere more long-term, so Tadj started looking for apprenticeships. We were looking for something between part and full-time, needed to be able to take a few weeks off in August for our wedding, and we also couldn’t start work until May. We found Goldfinch Gardens. It was in an area where we were considering living, and it seemed like a suitable option for both of us. In hindsight, it might have been better if we had WWOOFed in the Western NC area first, so that Nathanael could gain more experience before we started our apprenticeship. For most people interested in farming, we would suggest WWOOFing or volunteering on a local farm first before heading straight into an apprenticeship. Apprenticeships seem short, but they will be an intense six or more months of your life, so it’s wise to be sure about your decision to farm before heading into one. Once we decided that we’d rather intern than WWOOF, we started our search. 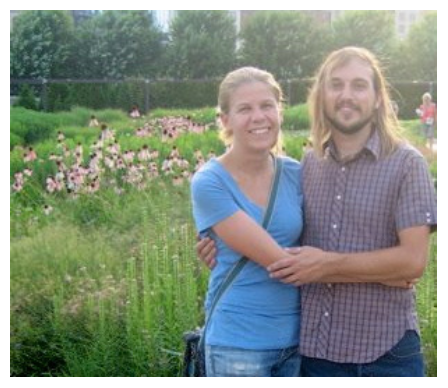 We focused on location, farming philosophy, and the farm’s ability to accommodate our crazy summer schedule (we couldn’t move across the country until May, and we were getting married in August). Goldfinch Gardens fit both our location requirements and our farming philosophy; they also seemed really committed to educating their interns. Luckily, they were transitioning from having wwoofers to having interns, so they were able to fill in the gaps we created over the summer with shorter farm-stays. When looking for the right farm, it’s important to have specific ideas about what you want from your experience in order to help narrow your search. We’ve included a worksheet at the end of our essay with some things to consider before starting your search. We used several websites to find our internship. Some websites require a small membership fee, and some are free. 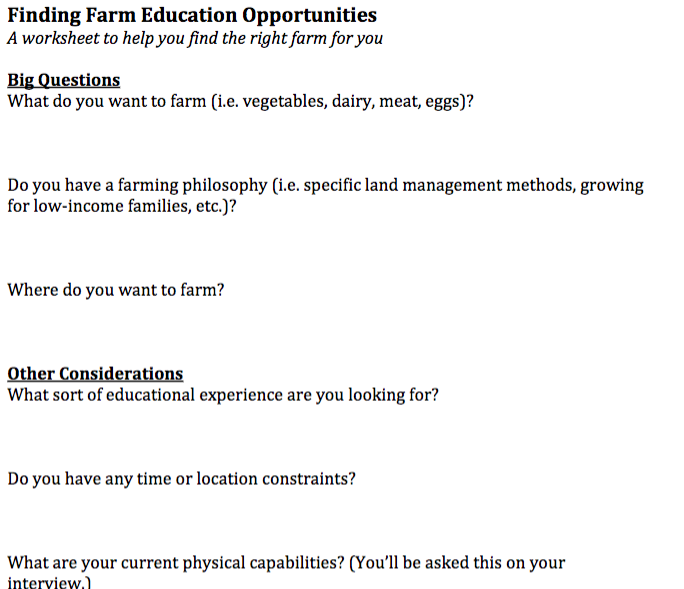 When we found a farm we were interested in, we wrote an email that was a bit like a cover letter, describing ourselves and our motivations for farming. We also attached our resumes. We’ve listed some different resources below. Life on a farm has certain rhythms and routines, but the daily experiences are actually quite varied, depending on the day of the week and the time of the year. Be prepared for a lot of demanding physical labor, hot days in the sun, and, conversely, freezing harvest mornings in the rain. We were both in fairly good physical condition before starting our apprenticeship—Nathanael was an avid rock climber and Tadj worked daily in her own small garden—but the first few weeks of the apprenticeship left us both pretty tired and beat at the end of the day. However, don’t think you have to be in perfect physical condition to be able to succeed as an apprentice. A season of farming is better than any exercise program or gym membership you can buy. In our case, we spent two days of each week dedicated mainly to harvesting vegetables, washing them, and weighing and packaging them for sale, while the rest of the week we were engaged in other tasks like planting seeds and transplants, preparing beds, weeding (yes, there will be a lot of weeding at an organic farm—it’s part of the experience), and small construction and infrastructure tasks around the farm. During the beginning of the season there will be a lot more planting than harvesting, and towards the middle is when things really get going. The summer months are probably the most intense, with a lot of harvesting and new planting going on. But aside from the maybe more obvious physical challenges of apprenticing, there are intellectual and mental challenges as well. There’s a lot to learn and internalize whether it be how to harvest each vegetable, how to properly prepare soil, which tools to utilize, or how to safely operate a tractor, and the mental challenges are in some ways more difficult, and less expected, than the physical ones. Be prepared to learn a lot, and to be humble about what you might or might not know. If you’re coming to an apprenticeship as a former (or current) student, be prepared to shift your mindset and way of thinking from the more abstract world of academia. Farming sometimes requires quick thinking and problem solving skills that are not as necessary in other fields of life. However, don’t come into the apprenticeship experience thinking that analytical skills won’t be needed. Organic farming requires an extremely vast amount of knowledge, and you’ll be putting those analytical skills to use more than you might expect. If you’re going to be spending a season, or even a significant portion of a season, living and interning on a farm, your personal living quarters are extremely important. We strongly suggest inquiring about the particulars of your living situation before committing to any apprenticeship. Will you be living in a large house with a family and sharing meals? Will you have your own trailer or camper to live in? Or, will you have your own more permanent dwelling? Will you live on or off the farm? These are all important questions, and, of course, your own personal preference will depend on you. In our case, we felt we got lucky in that we had our own small straw bale cabin to live in, with a private kitchen and a small sleeping loft. It was near the family house on the same piece of land, but far enough away that we felt we had some privacy, which was particularly important for us as a couple. We had our own small kitchen, and we cooked our own meals almost all of the time and did not eat with our farm mentors, except on occasion. We were the only two apprentices on this particular farm, so we had the place to ourselves. Of course, this is not a universal experience interning on an organic farm. Some farmers offer more communal housing for their apprentices, some offer travel trailers or campers to live in, and in some cases you may be living in the same house as your mentors. Be prepared for each of these situations, and have some idea of what you can live with beforehand. In any case, be prepared to downsize your life a lot. The less possessions you bring with you, the better off you will be. We paired down our belongings before leaving California, but we still had a lot of STUFF. We brought with us more than we probably needed. In most cases, we think you will find that less is more. Of course, there are very important items to make sure you bring, such as: appropriate clothing for varied weather conditions, good boots and socks, a hat, and probably some gloves. It’s also handy to have a few nice clothes with you for when you run a farmers market stand or you feel like a night on the town. Also, since the odds are high you’ll be in a rural location, having access to a car is important to avoid isolation, although this may depend on your location and it’s a good question to ask your potential farm mentors. You also need to be prepared to live with other people, whether or not you share a house with them. You will spend a lot of time with your farm hosts and possibly other apprentices, so having good communication skills and the ability to be flexible and understanding will be extremely important. Remember, people are sharing their space with you as well, and opening up their lives to you in a way that many people do not, so being respectful and having an open mind is an asset that any prospective apprentices should possess. Sometimes you will have to be prepared to compromise and change your expectations of what you can and cannot live with. 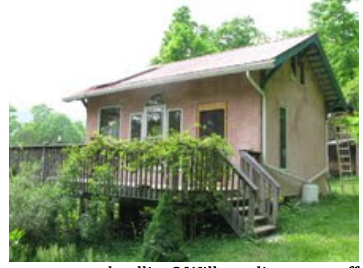 Although we had our own small dwelling, we still shared a lot of communal space, including the laundry facilities in the main house, some of the freezer space in the basement, and of course the general yard and property surrounding both of our dwellings. Navigating these shared spaces will be key to maintaining a friendly relationship between you, your farmers, and other apprentices you might be working with. This particular experience obviously will not apply to every prospective apprentice, but we know that many prospective farm apprentices are in a committed relationship. Working with your partner on a daily basis might be a new situation for you–bringing with it new challenges, but also new opportunities to build and expand (but hopefully not destroy) your relationship. Working and living with your partner, in close quarters, on a daily basis can be an excellent learning experience, and offers a lot in terms of strengthening your relationship. Of course, it also has its trials and tribulations, for which you should be prepared. If you’re the type of person who can’t work in a joint effort with your partner, day in and day out, you might want to reconsider apprenticing as a couple, and farming as a life goal, because being able to communicate, cooperate, compromise and listen to your partner will be extremely critical. We were also in the unique situation of preparing and planning for our wedding in the middle of the season, and we didn’t fully anticipate what a “trial by fire” this apprenticeship experience would be under circumstances that are often stressful enough on their own, much less when engaging in a completely new task and lifestyle far away from our previous existence, friends and routines. Luckily for us, we were able to work through any problems that arose, and grew as individuals and a couple because of it, but we might not recommend throwing yourself into a similar situation without considering it very carefully first! There were difficult moments for sure, and times when we questioned if we made the right decision. Living and working with your partner will provide challenges that you did not anticipate, but you might also be surprised how fulfilling and meaningful it can be. We certainly were, and feel that we gained so much through this experience and learned things about each other and ourselves that we might not have learned at all without it. Again, having an open mind, communicating, and being flexible will make the difference between growing as a couple, or ending up single at the end of your apprenticeship. Be prepared. We’ve had several months to think about our experience apprenticing. We gained a great deal of knowledge and insight from our farming experience, and while it took us some time to finally figure out our next step, we think that our apprenticeship played a large role in our decision making process. We have decided to take a very slow route towards our eventual goal of having a small farm. We are both applying for full-time jobs and we’re planning to build up our gardening skills and capital slowly while we work non-farming jobs. A large part of why we chose this path towards having a farm is our relative ages and the stage of our relationship. We feel that we’re a little too old and too ready to settle somewhere to continue working as apprentices or farmhands. We are also ready to start a family sometime soon, which does not go along well with apprenticing. One of the aspects of apprenticing that surprised us most was how young so many apprentices were compared to us. It seems as though the current farm education system is really geared towards younger people. Most farmers our age had several years of experience under their belts and had already begun to start up their own farms. Another aspect of apprenticing that shaped our decision was the general feeling of non-independence that we had. We both went from being graduate students to farm apprentices. In some ways being a graduate student is like being self-employed, you have the most control over how you spend your time each day. As farm apprentices, we were hourly workers with a manager. We both realized that we wished to have more independence in our work. Lastly, we realized that we had trouble living on so little while living a more- or-less transient lifestyle, and we were worried about saving for the capital it takes to purchase land and start a farm. Sure, we could take out loans or farm someone else’s land, but we both craved something a little less risky and a little more permanent. Because we’re hoping to grow our family soon, we didn’t want to put our financial security at risk. Despite these uncertainties about interning on a farm in the future, we feel positive about our apprenticeship experience. It was a necessary and valuable step in our path to farming. We learned so much about the ins and outs of running a small farm, and it was an experience that could not have been easily replaced by other education.